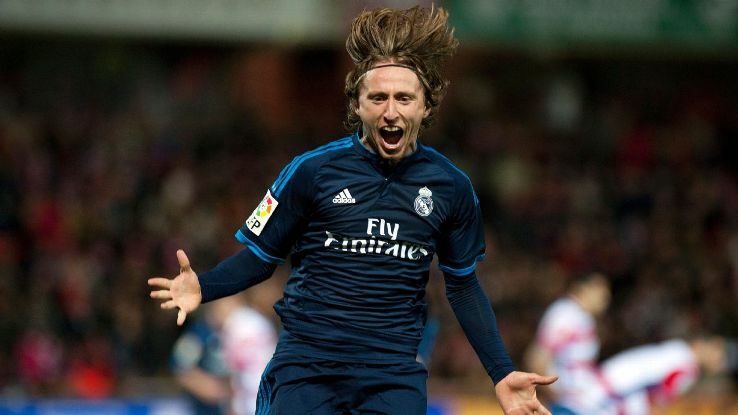 Croatia look up to 30-year old Real Madrid star, Luka Modric, to lift them during their Euro 2016 campaign. The very talented player is known as the ‘Croatian Cruyff’ in reference to recently-deceased Dutch legend Johan. 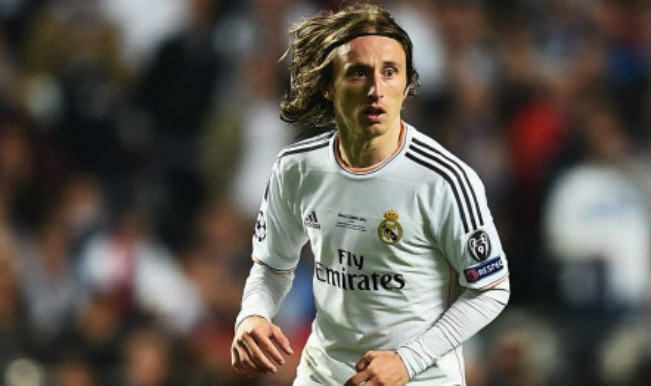 Modric helped steer Madrid to a record 10th Champions League title two seasons ago. He will be even more important for Croatia at the European Championship finals as they look to better their previous best results of reaching the quarter-finals in 1996 and 2008. 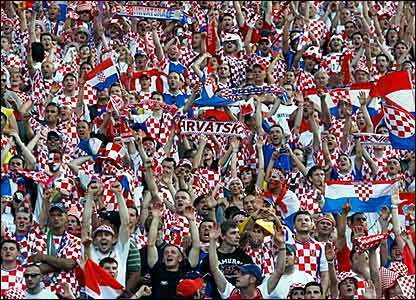 Certainly, Turkey, the Czech Republic and defending champions Spain, Croatia’s Group D opponents, will be wary of the threat from a Croatian midfield that also boasts Barcelona’s Ivan Rakitic, Inter Milan pair Ivan Perisic and Marcelo Brozovic and Mateo Kovacic of Real Madrid. At only 22 years old he became only the second Croatian to be included in the UEFA “Team of the Tournament” after his tournament debut eight years ago. Modric, after last year’s World Cup became the first Croatian selected in a FIFA World XI. Rejected by Croatian giants Hajduk Split as a teenager because of his slight physique, Modric signed with arch rivals Dinamo Zagreb at age 16. 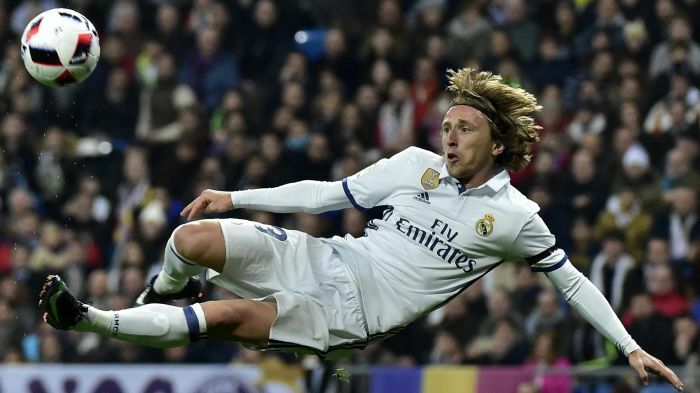 After a loan spell with Zrinjski Mostar in the notoriously tough Bosnian league, 18-year-old Modric was voted the league’s Player of the Year. Modric returned to Dinamo Zagreb in 2005 via another loan spell at Croatian side Inter Zapresic, signing a 10-year contract and going on to play with current Juventus striker Mario Mandzukic. After a four-year spell, over 30 goals and, notably, 29 assists, he brushed off reported interest from Barcelona to sign a four-year deal with Juande Ramos’s Tottenham in 2008. When Harry Redknapp succeeded Ramos, Modric moved back into his more natural habitat in central midfield. He flourished, forging a reputation as a formidable and accurate passer and became a Premier League star. After a tentative first season under Jose Mourinho, Modric came into his own under Carlo Ancelotti when the Italian took over in 2013. He easily became the team’s most efficient passer and has led the club to greater heights with his skills. This entry was posted in Luka Modric Videos and tagged Goal, goals, Luka, MATCH, Modrić by index. Bookmark the permalink.